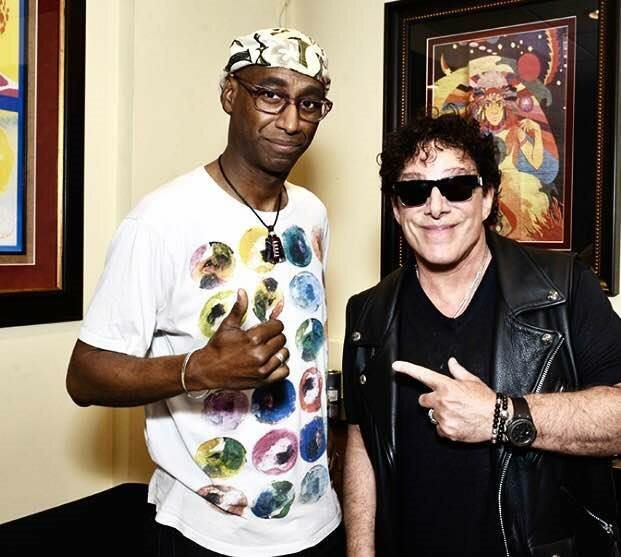 Legendary rockers JOURNEY have made the decision to have Omar Hakim play drums for the band's upcoming U.S. concerts (Hollywood Bowl on Saturday, June 20 and the Stadium of Fire in Provo, Utah on Saturday, July 4), as well as the band's Canadian tour (July 6 - August 3), due to Deen Castronovo's pending issues. The group says in a statement: "We are very grateful to Omar filling in with his musical excellence." Salem, Oregon police officers were called to a residence — believed to be Castronovo's —around 9:00 a.m. on Sunday, June 14. After entering the home, the cops arrested the musician without incident. A representative of Castronovo's claimed at the time that the altercation was "a misunderstanding that should not have been escalated to such a level in the first place."